For Pele, futsal was “very important, no doubt”. The Brazilian FIFA Player of the Century grew up playing the sport before transitioning to the 11-a-side game. So did many others – from household-name superstars to semi-professionals to Sunday league players. The benefits of futsal have recently entered the mainstream, with initiatives, facilities, and organisations being created, but there are still coaches who are wary of using the sport to develop footballers. In the ever-changing modern game of football, futsal can give players an advantage over others. 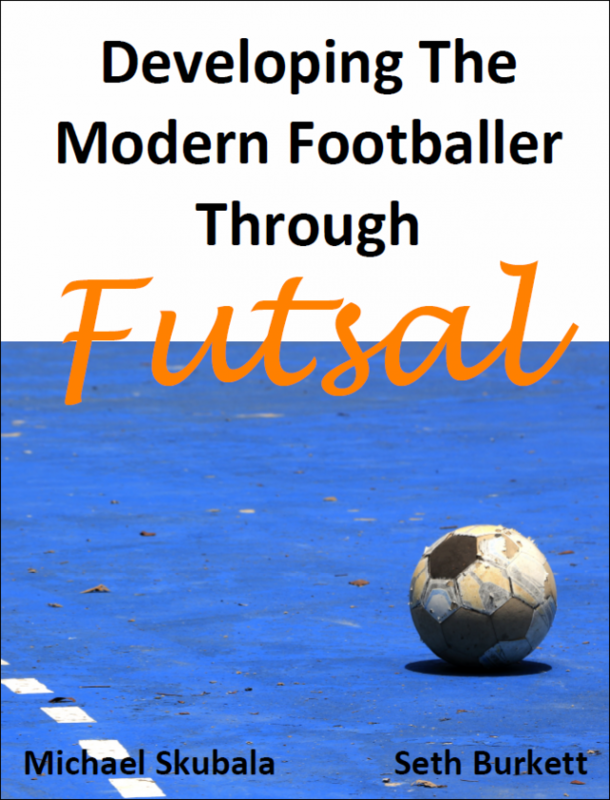 In this book, England futsal coach Michael Skubala, and Seth Burkett, detail the ways in which the sport can be used to develop the technical and tactical skills of players of all abilities. Aimed at coaches of all levels and ages, this title is a concise and practical book that provides an easy-to-understand and comprehensive guide to the ways in which futsal can be used as a development tool for football. From defending and attacking to transitional play and goalkeeping, this book provides something for everyone and aims to get you up-and-running fast. Over 50 detailed sessions are provided, with each one related to specific football scenarios and detailing how performance in these scenarios can be improved through futsal. From gegenpressing to innovative creative play under pressure, this book outlines how the sport can be used to develop a wide range of football-specific skills, giving your players the edge. Michael Skubala is the England Futsal Manager. Before this, he was the Assistant Coach, a position he held for five years. Prior to this he captained the side, and holds the record number of playing appearances for England. In addition to this, Michael is the Head Coach to the England under-23 squad, Great Britain Universities, the International Futsal Academy and Loughborough University. He is currently coaching the FA Futsal Level One and Level Two awards, one of only two coaches qualified to do so. In football, Michael holds his UEFA A Licence and is Performance Manager of Loughborough University Football Club. Previously he has been assistant football coach of Great Britain Universities. On Twitter, he is @mskubala. Seth Burkett is the last Englishman to play professional football in Brazil. In Brazil he became aware of futsal, understanding how it was used to develop Brazilian footballers. Upon returning to England, he began to play the sport. Seth has an honours degree in Sports Science from Loughborough, as well as a Master’s degree in English. His previous books include Hobby and The Boy in Brazil, declared by the Daily Mirror as ‘a captivating tale of a lad who refused to give up on his dream’. On Twitter, he is @burkett86.